18-year-old Sergio Herrera was driving home from dinner with his mom when they came across a 5-car crash on the 3900 block of Thousand Oaks Drive that was strewn over all four lanes of the road. According to one witness, the driver of a C5 Corvette was racing another driver in an Infiniti. When a third driver in oncoming traffic took a left-hand turn, the driver of the Corvette couldn’t stop in time, slamming into the third driver as the Infiniti, slammed into the back of the Corvette and into a utility pole. The driver of the Corvette was ejected from the car before it caught fire and was laying unconsious near the car as Herrera pulled up. Herrera immediately dragged the Corvette driver away from the car as it was burning. Debris from the accident damaged two other vehicles in the process. According to Herrera, he’s not suprised they were drag racing in that area. Apparently, that strip of Thousand Oaks Drive is attractive to street racers. Remember folks: keep it on the track. As tempting as it may be at times, it’s not worth losing your life, or putting other lives in danger just to race another car on the street. 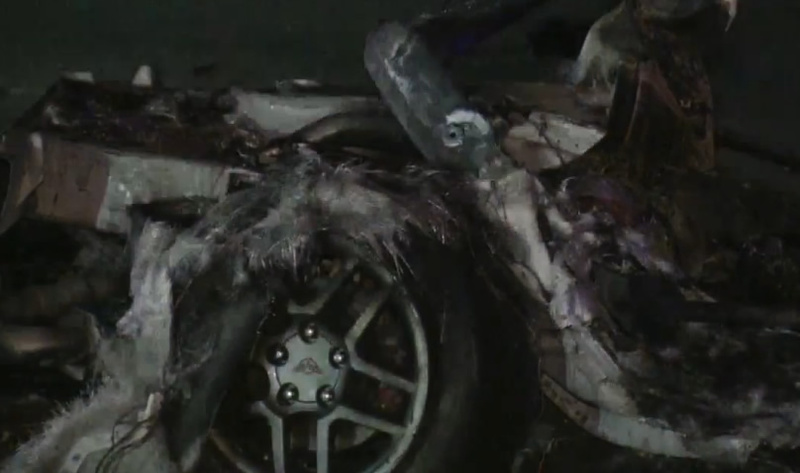 This Is What A Corvette Looks Like Crashing At 150MPH Street Racing!